As technology improves, lawn and garden retailers are relying more and more on their customer service to gain an advantage and differentiate themselves from the competition. Providing a pleasant customer experience can turn a first-time shopper into a lifelong buyer. By reading this guide, you’ll discover the important role mobile technology plays in delivering faster, smarter, and leaner customer service. Retailers everywhere are implementing mobile systems to empower their employees to support customers—from stock and pricing information to mobile checkout. 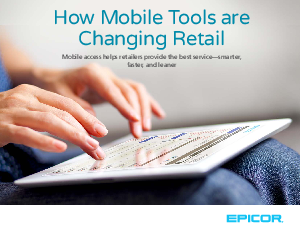 Read the guide and learn how the mobility of Epicor Eagle N Series can provide your retail business with a competitive advantage.